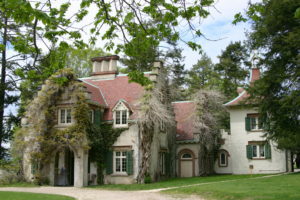 We’ve been at the Chautauqua Institution in western New York teaching a fully booked week-long storytelling class called “Telling the Stories of Your Life”. This is the second year in a row we’ve been invited to add our brand of storytelling to the curriculum. 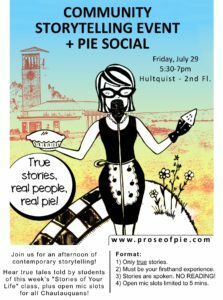 On Friday, July 29, 5:30-7pm, at Hultquist Center, 2nd floor, we’ll be presenting a special installment of PoP. Join us to hear students from our class and brave members of the Chautauqua community tell their true, personal stories publicly – many for the first time! Hope to see you and hear you there! We’re delighted to be presenting a very special installment of our show at the Chautauqua Institution. All week, we’ve been working with a dozen aspiring storytellers in our “Telling the Stories of Your Life” class. They’re crafting their tales for Friday afternoon’s show. The theme, as selected by our students, is CHOICES & CHANCES. (1) Only true stories, please! (2) They should be your own stories – something you experienced or observed firsthand. (3) This is story-telling, not reading. Notes are allowed but no reading please. (4) The story should be related to our theme – CHOICES & CHANCES. But feel free to stretch that theme to suit your needs! Open Mic: In addition to our students, we’ll have several open mic opportunities for communities members to share their own 5 mins story related to the theme. About the theme: Did you have to make a tough call? Miss an opportunity? Benefit from plain dumb luck? Here’s your chance to choose to share your tale with the rest of the CHQ community; and we want to hear it! Bonus points if you can stretch the theme to fit your tale. 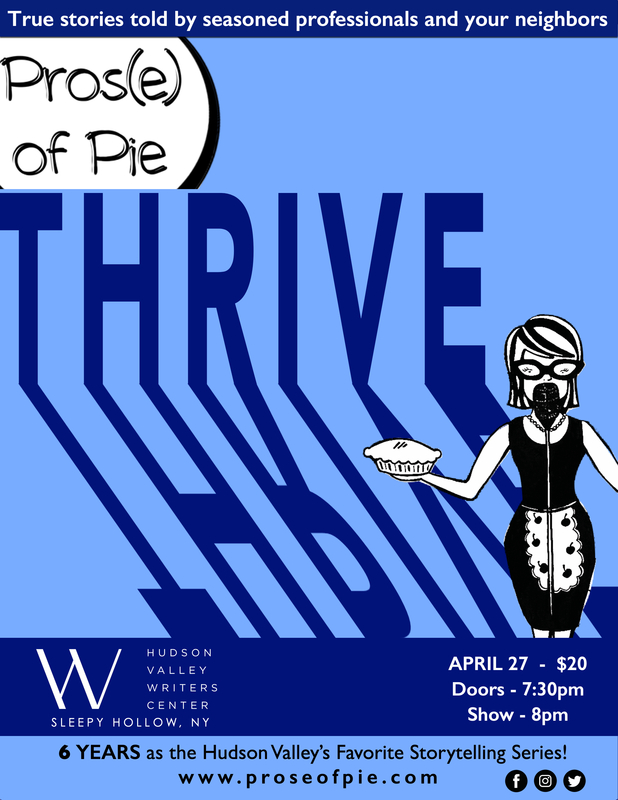 Pie: Pie will be available on a first come-first serve basis. 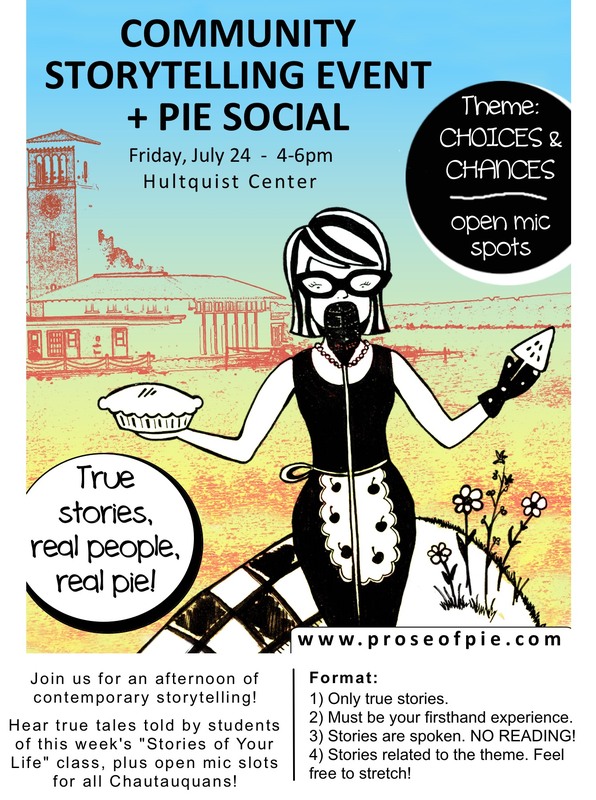 Unlike our standard shows, this will not be a pie bake-off, but a casual pie social. So please limit one slice of tasty pie per person. Storytellers: We’ll have prepared storytellers and plenty of open mic slots. If you have a great story you’d like to share, email co-producers Ivy Eisenberg or Zak Shusterman. In storytelling news, Slate has this great piece on a storyteller coaching a dad on communicating with his autistic son. To celebrate our first appearance at , we’re offering a free storytelling workshop to help you craft your own tale. Join PoP’s own Ivy Eisenberg for a fun, interactive workshop. We will cover how to mine your life for stories, how to choose and uncover “the story” and how to deliver that story. No prior knowledge or performance experience is necessary. This is about real people telling real stories. 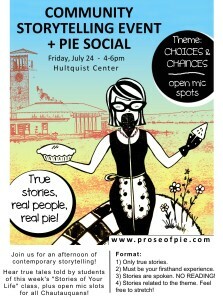 Everyone who comes will walk away with a 5 minute story ready to tell at a PoP open mic! And don’t miss our next show at Curious-on-Hudson on Dec. 13. Theme: “CLOSE CALL”.